HTSRTM and HSATM DUCTILE HIGH TENSILE BARS are particularly appropriate for special buildings, bridges and civil engineering. HTSRTM and HSATM alloyed steel bars are manufactured using a specific industrial process. 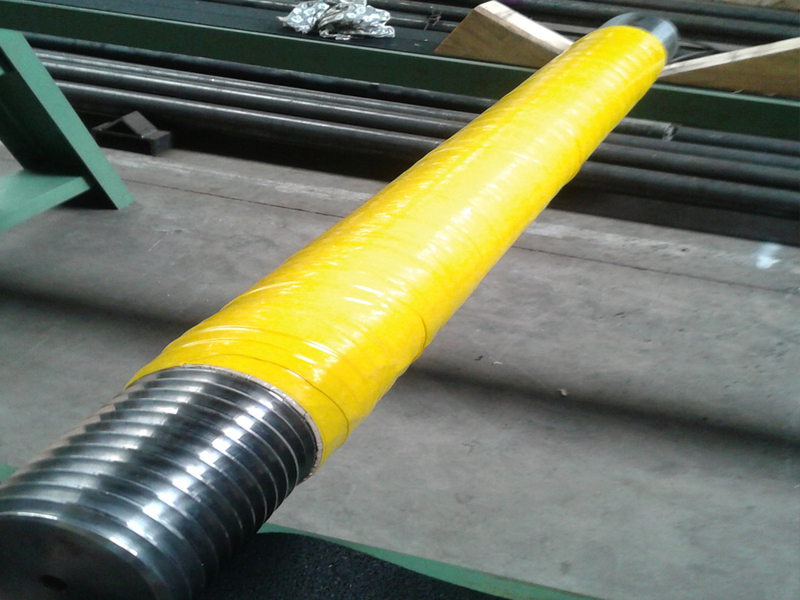 The ISO-threads are applied at the ends or on the complete length to increase the tensile strength. 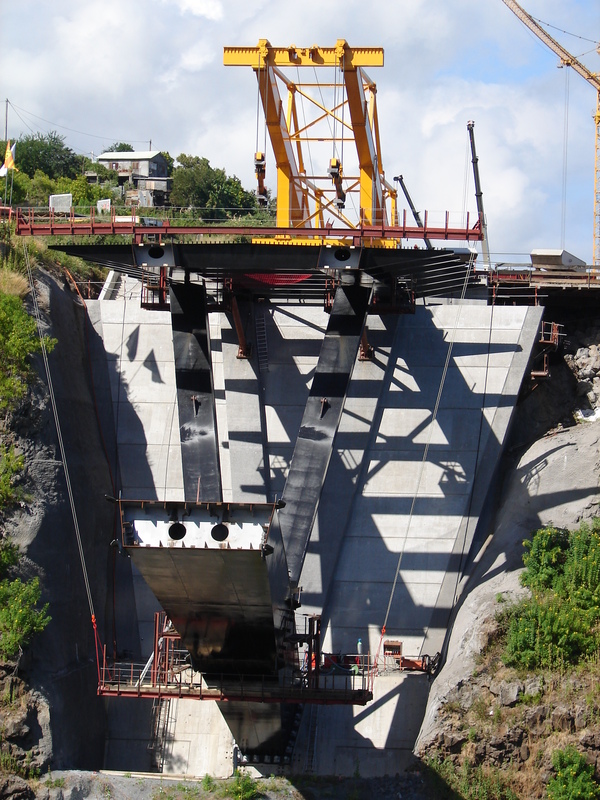 Post-tensioning steel grades are defined in EN 10027 Part 1 (1992). HTSRTM is a grade Y1200H; HSATM is a grade Y1070H. HTSRTM has the designation Y1200H; and HSATM the designation Y1070H. The state of the art HTSRTM and HSATM heat treatment system is a magnetic induction heating and cooling equipment that treats each bar individually, resulting in unprecedented traceability and reproducibility of the heat-treatment parameters. The production of HSA and HTSR bars is performed according LA GTM FRANCE specification. HSA and HTSR bars guarantee high tensile strengths as well as high impact strength. This bar is the only tension bar where high tensile strength is not achieved at the expense of impact value and elongation. Gone are the days when a high tensile strength unavoidably meant a low impact strength! Impact value of HTSRTM and HSATM bars at 0°C can be guaranteed at ≥ 30 J. The HTSRTM and HSATM system opens up new possibilities for pre-stressed bars with high yield and high ductility. See below a bending test with a HTSR bar of 70 mm diameter: no surface defects. 1 These values are guaranteed minima, except the modulus of elasticity (+/- 5 GPa), which is approximate. Testing specimens are prepared according to EN 10083-1. 2 Tensile values are measured according to EN 10002. 3 The value of the modulus of elasticity is given in the inspection certificate. 4 Average of at least 3 specimens. Impact values are measured according to EN ISO 148-1. 5 These values are available but must be specified at time of inquiry as special conditions apply. 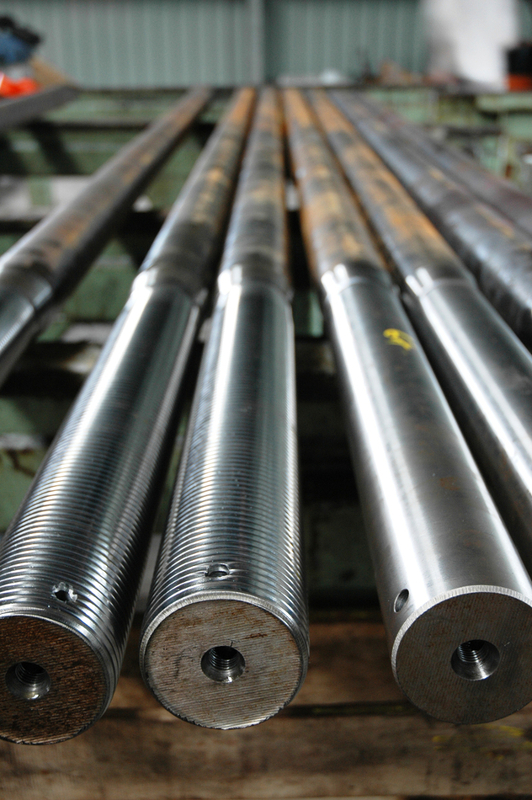 HTSRTM and HSATM bars are available in diameters from 10 up to 160 mm and in length 500 mm until 14.5 meters. On demand: these values for other diameters between 10 and 160 mm (intermediate dimensions). 1 mm/m. Thread tolerances are 6g according to ISO 965 part 3 (1980). The isometric threads of HTSRTM bar ends are made by thread-rolling with a progressive exit that improves fatigue resistance. Plates are made of steel grade S355JR according to EN 10025. Nuts are made according to ISO 898 part 2. Each bar is individually marked with its heat number. HTSRTM and HSATM bars are produced under a strict ISO 9001: 2008 Quality Assurance System. Our certificates 3.1B according to EN 10204 are delivered with each supply. Thanks to the peeling of the raw material and quenching and tempering by induction, HTSRTM and HSATM bars are free of carbide slag..
HTSRTM and HSATM bars must be installed by personnel qualified in post-tensioning and pre-stressing techniques in strict accordance with the method statements provided for each type of application. Only components and accessories provided by La GTM France shall be used. 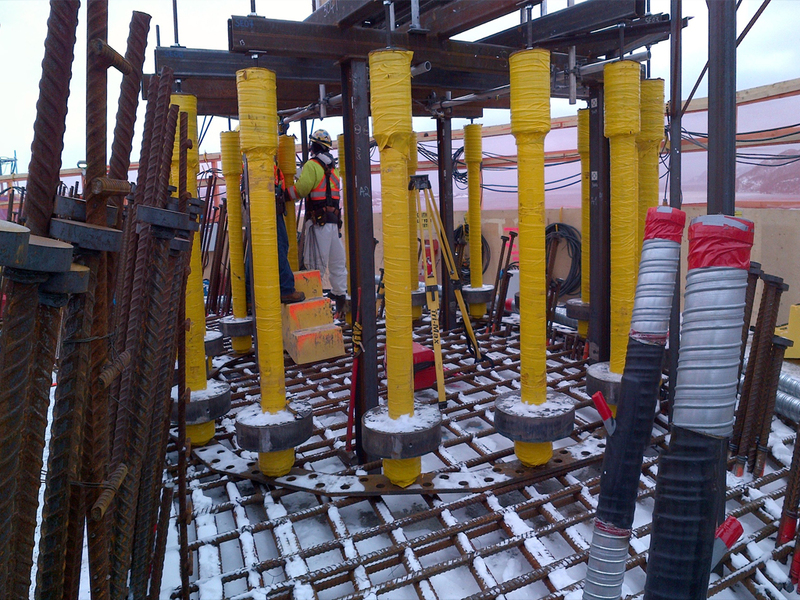 In order to guarantee a good anchoring, the compressive strength of the concrete at the time of tensioning must be ideally 40 MPa (6,000 psi), but at least 25 MPa (3,600 psi) depending on the reinforcement. 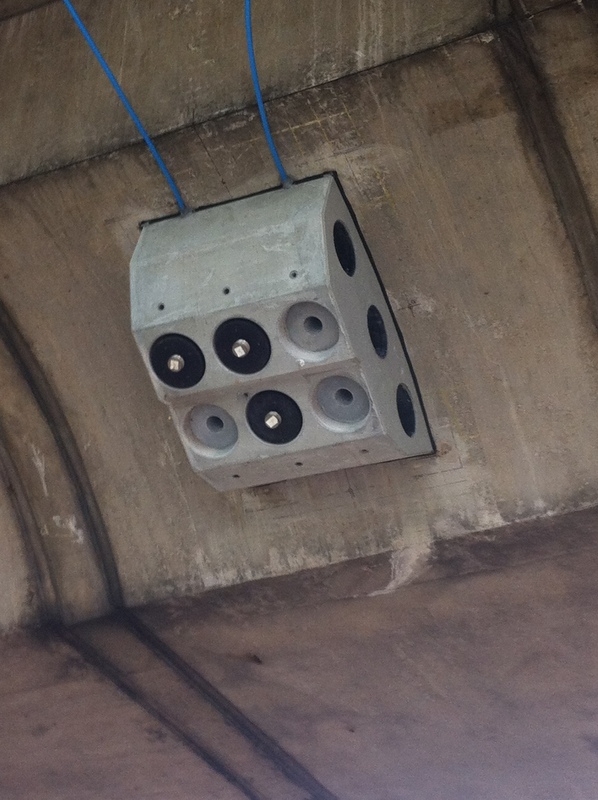 Special care shall be paid to properly vibrate the concrete behind each plate. The use of swivel bearing plates and nuts allows angular deflections of up to 8°. 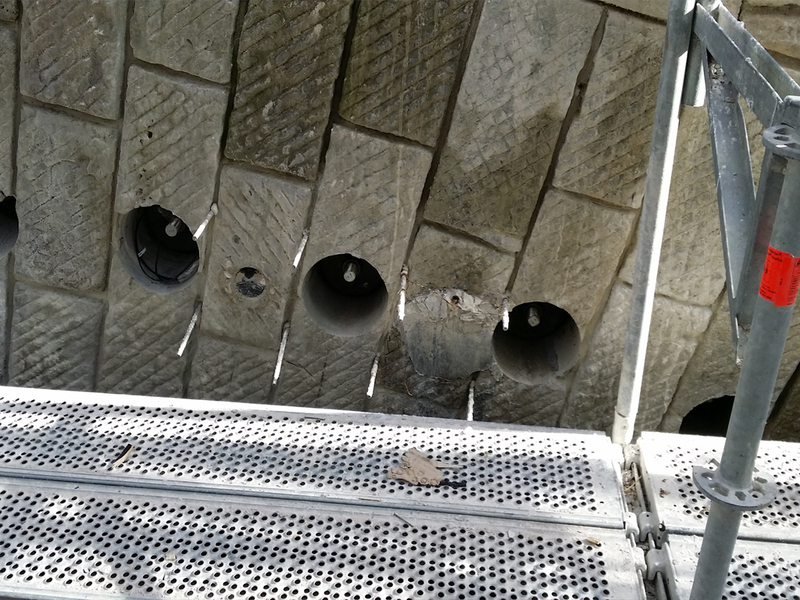 HTSRTM and HSATM system may be protected from corrosion by various means, to be specified by the customer: rigid – cement ground, flexible – wax, or other specific techniques in accordance with each project – plastic shrink films, paint, etc. This protection may be applied on site or in a workshop. We use hot galvanisation or zinc metal coat that ensure high-quality protection without important modification of the OD. HTSRTM and HSATM bars can be galvanized, providing that the temperature does not exceed 450°C and that the annealing time is ˂ 15 min. HTSRTM and HSATM bars can be galvanized only with our written agreement. If they are going to be tensioned, they should not be epoxy-painted as the epoxy may crack during tensioning. HTSRTM and HSATM bars can be cut. Cutting with gas burners is strictly prohibited. HTSRTM bars may be bended up to 90° without cracks. Please contact us for any question relating to bending radius. HTSRTM and HSATM bars are delivered in bundles or in wooden boxes according to regulation NIMP15 for export. 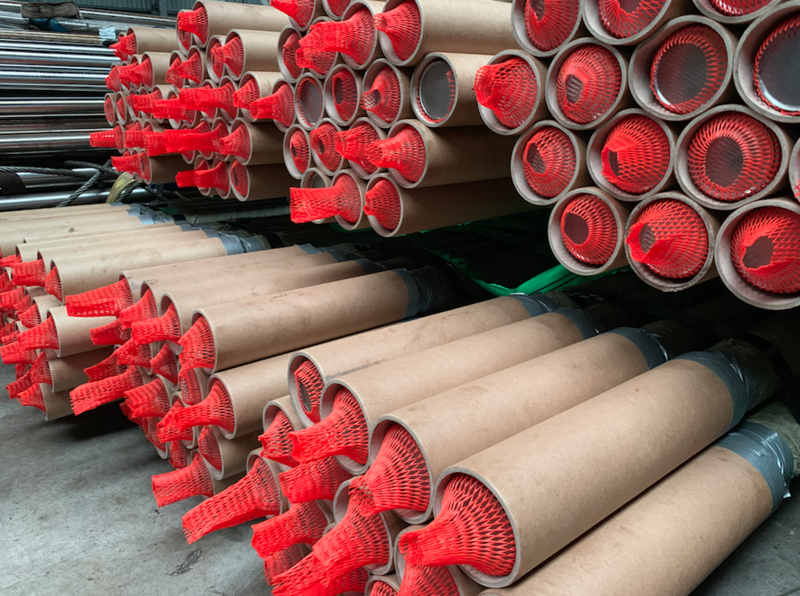 Threads are protected by plastic film or hart plastic. The bars are slightly oil-coated to limit corrosion during shipping and must be cleaned by solvent before use. The international customs code for tension bars is classified into group of 73.08 and subsection 7308.10 for bridges, 7308.20 for towers and 7308.90 for other structures and parts. As a result of our continuous technological improvement, we reserve our rights to modify the contents of this specification sheet at any time without prior notice. All information is based on made-to-order deliveries. When materials are picked-up from stock in order to shorten delivery times, variations in respect of the custom specification are to be expected. 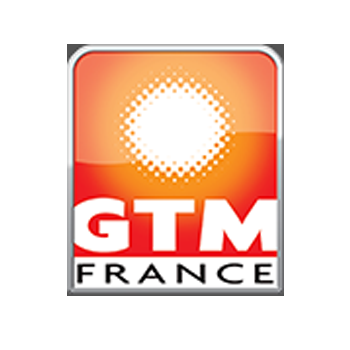 La GTM France and FILTARO are twin companies with the same head-office. 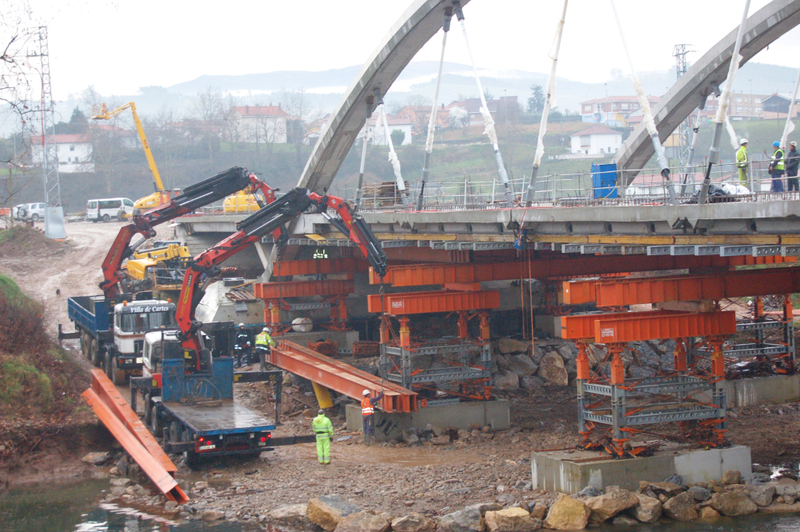 FILTARO is specialized in the development and delivery of pre-stressing systems for maritime and fluvial harbours. FILTARO + GTM France hold the patents of pre-stressing systems that are particularly adapted in seismic regions. 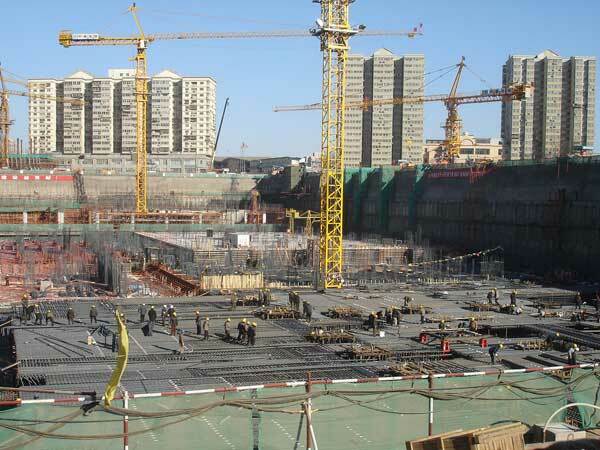 Filtaro product lines have been used by major contractors all over the world for more than 35 years. The production is handled by La GTM France in its 15 000 m² in DENAIN (North of France). La GTM France is specialized in heat treatment and cold-finishing for long products (14.5 meters), bars as well as tubes. La GTM France has a fully equipped, certificated test laboratory. 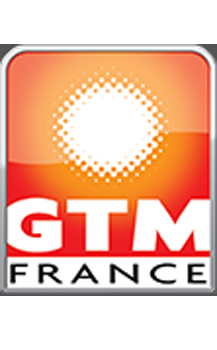 La GTM France has received the TÜV quality certification: ISO 9001/2008.